Worldwide shipments of 3D printers (3DPs) will reach 217,350 units in 2015, up from 108,151 in 2014, according to Gartner, Inc.'s latest forecast. 3D printer shipments will more than double every year between 2015 and 2018, by which time worldwide shipments are forecast to reach more than 2.3 million. "As we noted last year, the 3D printer market is at an inflection point," said Pete Basiliere, research vice president at Gartner. "Unit shipment growth rates for 3D printers, which languished in the low single and double digits per year throughout the 30 years since the first 3D printers were invented, are poised to increase dramatically beginning in 2015. As radical as the forecast numbers may seem, bear in mind that even the 2.3 million shipments that we forecast will be sold in 2018 are a small fraction of the total potential market of consumers, businesses and government organizations worldwide." Seven technologies constitute the 3D printer market, with material extrusion leading the market's growth through 2018 due to significant worldwide consumer adoption of 3D printers costing less than $1,000. The primary market drivers for "consumer" 3D printers are lower prices, improved performance and expanded global availability. The primary "enterprise" 3D printer market drivers are the viability of 3D printing technologies for prototyping and manufacturing coupled with lower 3D printer costs, improved quality and a wider range of materials. "The high material extrusion shipment growth numbers are basically driving the 3D printer forecast," said Mr. Basiliere. "New providers are entering the market, sometimes directly, sometimes through crowdfunding campaigns, on what seems like a daily basis. These providers are leveraging the expiration of early extrusion technology patents to make low-cost, low-priced devices targeted mainly at consumers." End-user spending on 3D printers varies by technology and shipments, but other market forces also come into play. Material extrusion spending is impacted by the high number of startup and small companies worldwide that are taking advantage of the low barrier to entry to sell consumer 3D printers for less than $500. Whether these startups and small companies have sufficient revenue to cover not only their production and overhead costs but also service, sales, channel development, research and development, and owners' profit remains to be seen. Conversely, providers of technologies such as directed-energy deposition and powder bed fusion will be able to hold prices as demand for their equipment rises, adding value in ways other than a costly price war in order to attract and retain enterprise buyers. Gartner predicts that end-user spending on material extrusion technology will increase from $789 million in 2015 to around $6.9 billion in 2018. Overall, end-user spending on 3D printers is expected to increase from $1.6 billion in 2015 to around $13.4 billion in 2018 with technologies such as vat photopolymerization and material jetting leading this growth due to expanded acceptability within the consumer and enterprise markets. "Manufacturers will strive to add features and improve performance in the first few years rather than reduce the prices of printers," said Mr. Basiliere. "Therefore, the ASPs of a few technologies are expected to increase or to gradually decrease in the outer years after an increase in 2014 or 2015. Directed-energy deposition printers are the most highly priced, followed by powder bed fusion printers. The ASPs of material extrusion and vat photopolymerization printers are expected to decrease as more and more players enter the market with offerings in the lower price bands within these two technologies." Shipments by price band are affected by the 3D printer technologies represented within them. Of particular note are the lowest priced $1-to-$1,000 and $1,001-to-$2,500 bands, which are dominated by material extrusion devices. 3D printers costing less than $1,000 made up 11.6 percent of the total of these bands in 2014 but will grow to 28.1 percent of the $1-to-$2,500 range by 2018. 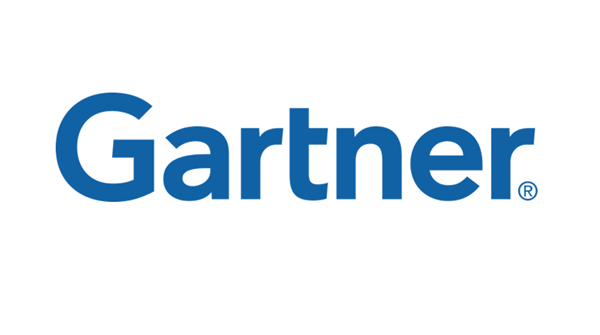 As strong uses emerge within both the consumer and enterprise segments, Gartner expects the significant price band growth rate differences will fade as more organizations employ low-end and midrange printers for testing and experimenting. Looking ahead, plug and print capability will drive consumer 3D printer market growth beginning in 2015. While the ecosystem remains complex, manufacturers of entry-level material extrusion printers are incorporating relatively simple "plug-and-print" capability. Features such as locked-in materials, often available only in vendor-specific cartridges as with 2D printers, maximize the likelihood the materials will work well. Automated bed leveling and heated build chambers also facilitate simpler set-up and operation, making it easier for the consumer to "hit print" and successfully produce a 3D item. As a result, 10 percent of the 3D printers costing less than $1,000 will have plug-and-print capability by 2016. "This trend will accelerate as the market consisting primarily of early adopters who grew up with an open-source approach without lock-ins evolves into a market in which average consumers dominate," said Mr. Basiliere. "While the early adopters will rage at the perversion of the 3D printer open-source ethos, the vast majority of mainstream consumers will demand the simple and consistent operation that 'plug and print' can provide them."